This ideal all-purpose cleaner, whether diluted or used at full strength, can give a streak-free clean to nearly any washable surface. It’s the strongest ammonia cleaner on the market and works on everything from bathtubs and toilets to kitchen appliances and woodwork. It can even take care of floor wax buildup and scuff marks on walls. That’s why Brillo is one of the most trusted names in household cleaning. 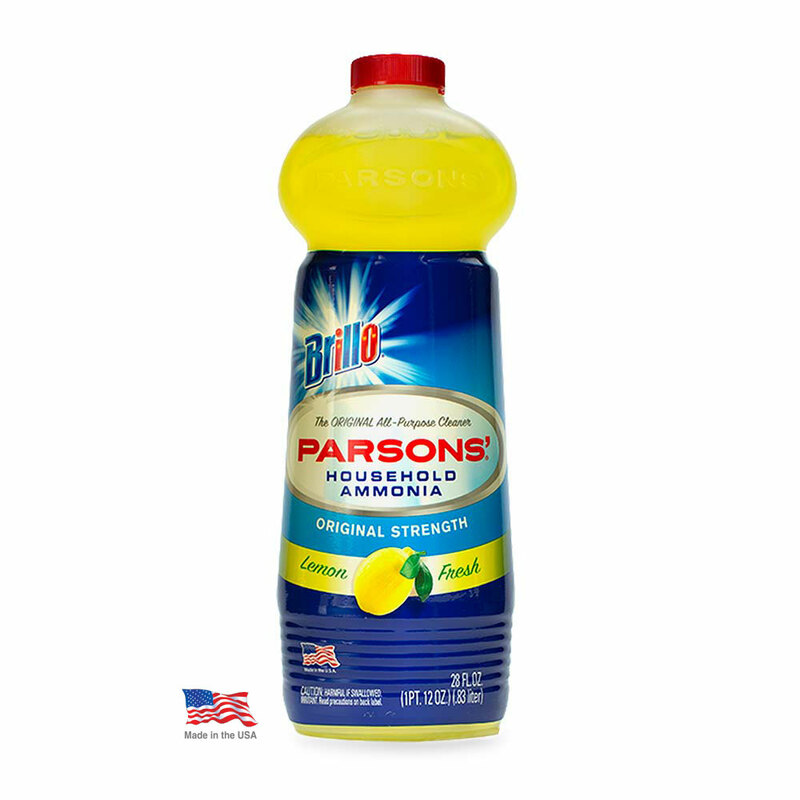 Brillo Parsons Ammonia Lemon is the strongest ammonia cleaner on the market.